How Much Does an Orthodontist Assistant Make per Year? An orthodontist assistant works, toegether with the primary orthodontist, with patients during their orthodontia treatment to take x-rays, make teeth impressions, adjust braces wiring and bands, and aid the orthodontist during patient appointments. The average salary for an orthodontist assistant in the US is nearly $43,000 per year compared to C$45,000 ($35,021 USD) in Canada. Orthodontist assistants in Australia earn just under AU$64,000 ($48,792 USD) annually, followed by NZ$53,000 ($37,396 USD) in New Zealand, and £26,000 ($30,955 USD) in the UK. Annual salaries for orthodontist assistants in South Africa are significantly lower at roughly R134,000 ($9,913 USD), but well above earnings in India at Rs243,000 ($3,781 USD). Salaries vary for orthodontist assistants by geographic region, professional experience, and work setting as further explained in this guide. Annual and hourly wages for orthodontist assistants are outlined in the chart below. Determining earning potential for orthodontist assistants requires a review of data by geographic region, professional experience, and work setting. This guide provides information on income and career insight for this field. Orthodontist assistants in the US earn close to $43,000 per year, or $20 per hour, plus an additional $700 or more in bonus income pay. The average entry level pay can reach $32,000 per year while senior level pay is just under $52,000 annually. In Canada, orthodontist assistants earn nearly C$45,000 per year in base salary and about C$800 in additional bonus income. Those paid an hourly wage earn C$22 per hour, on average. Entry level orthodontist assistants earn well over C$33,000 per year while those at the senior level see annual pay that exceeds C$54,000. The average annual pay for orthodontist assistants in the UK is more than £26,000 with another £450 in bonus pay. Hourly wage earners receive an average of £13 per hour. Early career orthodontist assistants with up to three years’ experience earn close to £20,000 per year while the most experienced senior level professionals receive about £32,000 annually. As an orthodontist assistant in Australia, average annual earnings can reach AU$64,000 in base pay while bonus income incentives can add another AU$1,100 to overall pay. On average, hourly pay is AU$31 per hour. Entry level orthodontist assistants earn close to AU$48,000 per year compared to their senior level colleagues who see annual earnings top AU$77,000. In New Zealand, orthodontist assistants earn well over NZ$53,000 per year, or NZ$26 per hour, plus another NZ$900 or more in bonus pay. On average, annual earnings for entry level positions is about NZ$40,000 while senior level positions garner an average annual salary of NZ$65,000. Annual earnings for orthodontist assistants in India average Rs243,000, equivalent to Rs117 per hour. An additional Rs4,200 can be earned in bonus income pay. Entry level orthodontist assistants earn nearly Rs184,000 per year compared to senior level professionals who receive just under Rs299,000 annually. In South Africa, orthodontist assistants see annual earnings of about R134,000 in base salary and another R2,300 in bonus income. The average hourly wage is R64 per hour. Early career orthodontist assistants earn close to R101,000 in their first three years of work experience while the most experienced in senior level positions receive nearly R164,000 per year. Experience positively affects overall earning potential for orthodontist assistants in all countries reviewed in this guide. Annual earnings experience growth of 60% to 63% between the early career years and the senior level. In the US, where earnings are among the highest, the gap between entry level and senior level pay is $20,000 more per year, representing growth of 63%. While orthodontist assistants in India earn far less than those in the other regions, the growth rate also is 63%, or Rs115,000 more per year in annual pay. The two countries with the smallest income growth are Australia and the UK at 60%, where annual salaries are AU$29,000 and £12,000 more per year, respectively, for senior level professionals compared to their entry level colleagues. Orthodontist assistants work most often in orthodontist private practices and clinics, while some are employed in educational institutions. In the US, most dental care is privately funded compared to many other regions in the world where publicly funded national healthcare systems are common. The national healthcare systems often have a pay scale that private employers also use as a guideline for salaries that fall outside of these government-funded positions, meaning there is little variance in salary for orthodontist assistants by work setting. Orthodontist assistants typically work Monday through Friday during normal business hours, although some dental offices offer extended hours in the early morning or evenings as well as Saturdays to accommodate patient availability. Most orthodontist assistants work full-time, defined as 40 hours per week, although there are ample opportunities for part-time employment. A comprehensive benefits package that includes healthcare coverage and paid time off are typically offered to full-time employees. Part-time orthodontist assistants may be ineligible for benefits or they may receive a smaller package. While bonus incentives are found worldwide, these additional earnings do not add sizeable amount to total earnings. 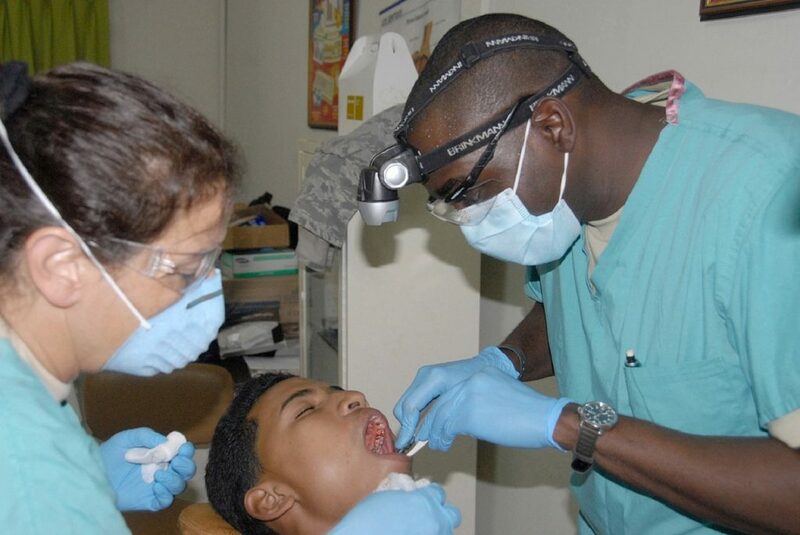 Greater access to dental care, including orthodontic treatment, means strong growth of 19% in this career field is expected by the US Bureau of Labor Statistics between 2016 and 2026. To work as an orthodontist assistant, successful completion of a certification course, typically taking between one and two years, is required, as well as on-job training. Orthodontist assistants see lower earnings compared to some other dental positions; however, minimal education and training are required for this career. Compensation packages typically include benefits and bonus income for full-time employees. Newly trained orthodontist assistants should find strong employment opportunities with stable earnings as this career field is expected to grow at a much faster than average rate in the coming years.